Law changes and a strong political will are needed if Uzbeks are to freely practise their faith, according to the UN Special Rapporteur on Freedom or Religion or Belief. 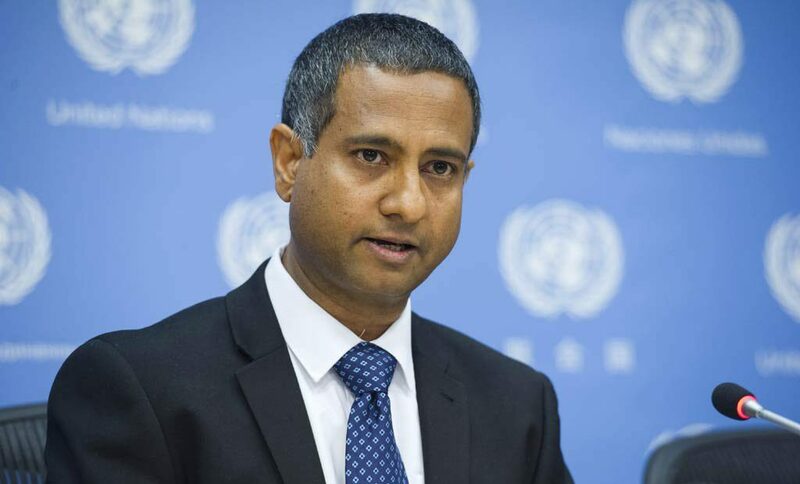 Ahmed Shaheed presented his findings on 2 March to the Human Rights Council as it meets for its 37th session in Geneva, Switzerland, 23 February to 26 March. His report follows an official visit to Uzbekistan in October 2017, after which he said the country should invest more time protecting religious freedoms in its ongoing reforms, rather than seeing religion as a threat. Shaheed says “extremism came up in almost every conversation” he had with officials during his visit, and that “often extremism was described by the authorities as the main challenge facing the country”. He concludes that “believers have to carefully navigate the boundaries for practising their religions or beliefs or they risk being accused of stirring religious intolerance or, worse, identified with spreading extremism”. World Watch Monitor reported in 2017 some of Uzbekistan’s violations against Christians, including a police raid on a congregation of 27 Protestants, where some female members were assaulted, and the case of Tohar Haydarov, a Christian convert who served six years in prison on alleged fabricated drugs charges after his relatives asked the police to help them force Haydarov to return to Islam. Shaheed acknowledges efforts made by new President Shavkat Mirziyoyev’s government to review its human rights record – such as the reforms in its 2017-2021 Action Strategy – and commends the president on “accommodating all his requests” and giving him “unimpeded access to various institutions, including Jaslyk Prison”, which Human Rights Watch said is “well-known for its harsh conditions and ill-treatment and torture of religious prisoners”. Shaheed notes, however, that “freedom of religion or belief as a human right inherent to every human being is not recognised in law and in practice,” and that this “poses a fundamental challenge for religious freedom in Uzbekistan”. He makes a raft of recommendations to help the country make progress on religious freedom. He says open debate on the meaning of secularism will “overcome current restrictive interpretation and attitudes within the administration and law enforcement agencies, whereby manifestations of freedom of religion or belief are strictly monitored and boundaries regulated”. He recommends “substantial revision” to the 1998 Law on Freedom of Conscience and Religious Organisations, and says that a new law “should be fully compatible with article 18 of the International Covenant on Civil and Political Rights”. Registration of churches and other religious organisations should be “optional”, and “the ban on proselytism and missionary activities, as well as the practice of licensing the import, publication and distribution of religious literature, should be overhauled”, he says. He also recommends that Uzbekistan should “respect the liberty of parents … to provide a religious education to their children consistent with their convictions”. Referring specifically to extremism, he says that “vague definitions of ‘extremism’” should be reviewed, that the cases of “all persons imprisoned on vague charges of ‘religious extremism’” should be re-assessed, and that the state should “stop resorting to various intrusive surveillance measures”. He says freedom of religion or belief should be recognised “as an inherent right for everyone, including prisoners”, and that the “Nelson Mandela Rules [standard minimum rules for the treatment of prisoners] should be consistently applied”. Uzbekistan is ranked 16th on Christian charity Open Doors International’s World Watch List of the 50 worst countries to live as a Christian.